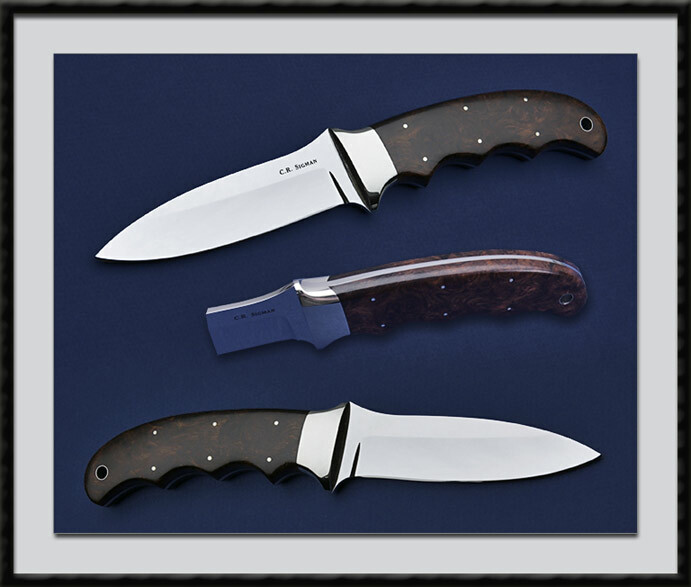 Corbet R. Sigman crafted this Drop Point Hunter. ATS-34 Blade, BL = 4", OAL = 8 1/2", Slightly Tapered Tang, 416 SS Bolters, Iron wood Burl scales accented by 6x SS pins and a SS lined Lanyard hole. Fit and Finish is of the Highest Grade. Comes in a zippered knife case. Condition is Pristine.